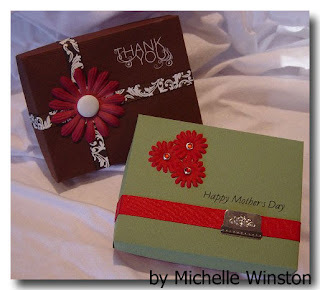 With Mother’s day less than a week away we thought we would share some inspiring Mother’s Day ideas with you…We would also like to wish all mothers a “happy Mother’s day”. Mother is, probably, one of those few words whose very mention inspires a flurry of emotions in the heart of even the unkindest person. To understand Mother's Day and what it really means you need to understand the person in your life called 'Mother'. Mother is the one who nurtures you in her womb for nine months. Mother is the one who guides you through your infancy and turns the soft, helpless creature into the powerful and successful YOU. She is the guardian angel protecting you and supporting you, feeling for you and serving you silently always with a smile on her face. 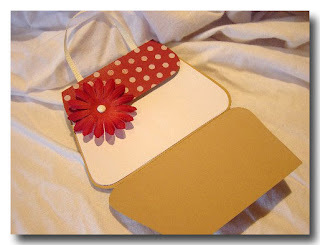 She prides herself watching you grow and provides you a shoulder to cry on whenever you need. She is every child's best friend. The earliest Mother's Day celebrations can be traced back to the spring celebrations of ancient Greece in honour of Rhea, the Mother of the Gods. 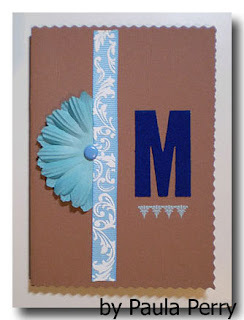 During the 1600's, England celebrated a day called "Mothering Sunday". Celebrated on the 4th Sunday of Lent "Mothering Sunday" honoured the mothers of England. During this time many of England's poor worked as servants for the wealthy. As most jobs were located far from their homes, the servants would live at the houses of their employers. On Mothering Sunday the servants would have the day off and were encouraged to return home and spend the day with their mothers. 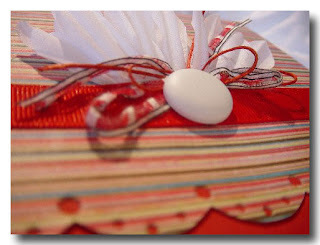 A special cake, called the mothering cake, was often brought along to provide a festive touch. As Christianity spread throughout Europe the celebration changed to honour the "Mother Church" - the spiritual power that gave them life and protected them from harm. Over time the church festival blended with the Mothering Sunday celebration and people began honouring their mothers as well as the church. In the United States Mother's Day was first suggested in 1872 by Julia Ward Howe (who wrote the words to the Battle hymn of the Republic) as a day dedicated to peace. Ms. Howe would hold organized Mother's Day meetings in Boston, every year. In 1907 Ana Jarvis, from Philadelphia, began a campaign to establish a national” Mother’s Day”. Ms. Jarvis persuaded her mother's church to” celebrate Mother's Day” on the second anniversary of her mother's death, the 2nd Sunday of May. By the next year Mother's Day was also celebrated in Philadelphia. MethodTo make the almond paste: place the sugar and ground almonds in a bowl. Add enough beaten egg to give a fairly soft consistency. Add the almond essence and knead for a minute until the paste is smooth and pliable. Roll out a third of the almond paste to make a circle 18cm/7in in diameter and reserve the remainder for topping of the cake.Preheat oven to 140C/275F/ Gas 1. To make the cake: cream the butter and sugar together until pale and fluffy. Gradually beat in the eggs until well incorporated and then sift in the flour, salt and spice (if using) a little at a time. Finally, add the dried fruit, peel and grated lemon rind and mix into the mixture well.Put half the mixture in a greased and lined 18cm/7in cake tin. Smooth the top and cover with the circle of almond paste. Add the rest of the cake mixture and smooth the top leaving a slight dip in the centre to allow for the cake to rise. Bake in the preheated oven for 1½ hours. Once baked, remove from the oven and leave to cool.When you are ready to decorate the cake, preheat the oven to 180C/350F/Gas 3. Brush the top of the cooled cake with the apricot jam. Divide the remainder of the almond paste into two; roll out a circle to cover the top of the cake with one half and form 11 small balls with the other half.Place the circle of paste on the jam and set the balls round the edge. Brush the entire top with a little beaten egg. Return the cake to the preheated oven for about 10 minutes or long enough for the almond paste to brown. 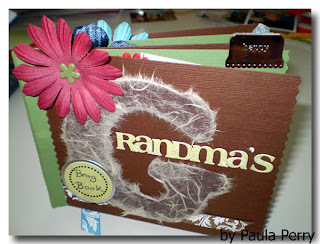 Paula has created a simple card, a gorgeous Brag book and a sweet little box, that is perfect for a little trinket or a chockie or two!! 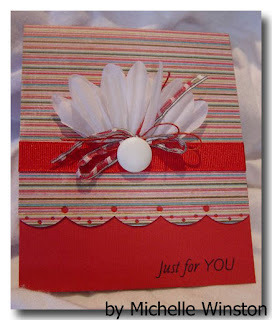 'Mothers day card' - Bazzill cloth texture cardstock; S.E.I. 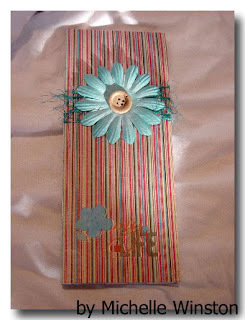 iron-on letters; floral aqua ribbon; Bazzill blossom whirlpool; brad; American Crafts mini marks accents BK2. 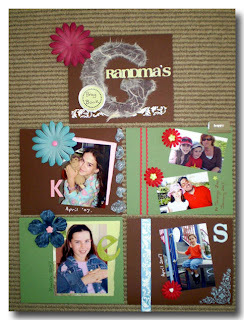 'Grandma's Brag Book' - Bazzill cloth texture cardstock; floral aqua & chocolate ribbon; wooden letter covered in mulberry paper, brown then cream; various brads; Bazzill itty blossom cherry apple; Heidi Swapp she whisper blue, pink lemonade stand lettering; Basic Grey urban letters, mini monos chipboard, mini mono Lily Kate; MM round metal tag. 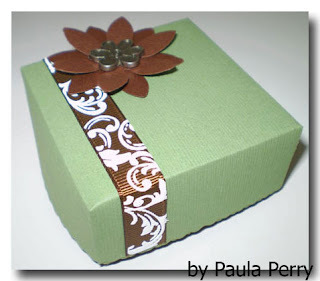 'Gift box' - Bazzill cloth texture cardstock; floral chocolate ribbon; punched flowers; MM metal flower. 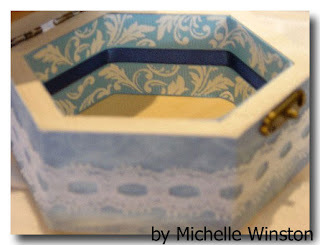 Louise has created two wonderful gift sets! 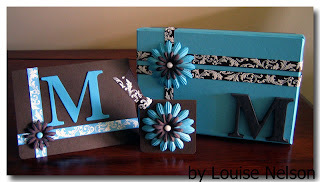 "Blue Brown Collection” :- a gift box, gift tag and Card. 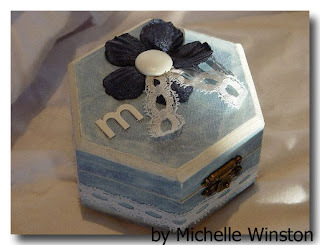 Ingredients:- Bazzill cardstock, Carolees Creations floral aqua and chocolate ribbon, Imaginisce Bazzill Whirlpool Blossoms, Bazzill itty bitty blossoms brown, assorted brads, Making memories chunky chipboard letter and large wooden letter, and semco paint. 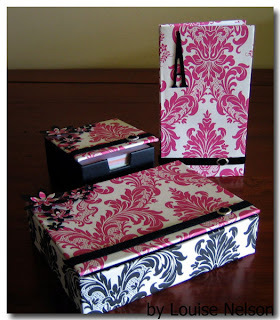 “Pink Black Collection”:- A collection of altered gifts including an address book, card stationary set [large box] and note pages box [small one].Ingredients: - Anna Griffin patterned papers, velvet ribbon and Bling gems, silver metal buckles, Making Memories chipboard letter. Semco paint, dimensional magic, and Carl punches used for flowers. 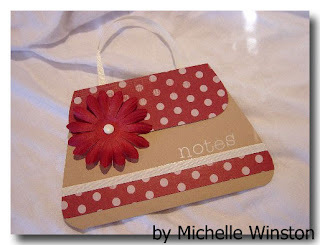 A collection of beautiful boxes, cute cards and neat notepads!